【Ingredients】 bile acid, mother of pearl, hyodeoxycholic acid, gardenia, buffalo horn, Radix, baicalin camp, honeysuckle. Accessories for the sucrose, beta he cyclodextrin, menthol. 【Properties】 This product is reddish brown liquid: sweet, slightly bitter. 【Indications】 Qingrejiedu. 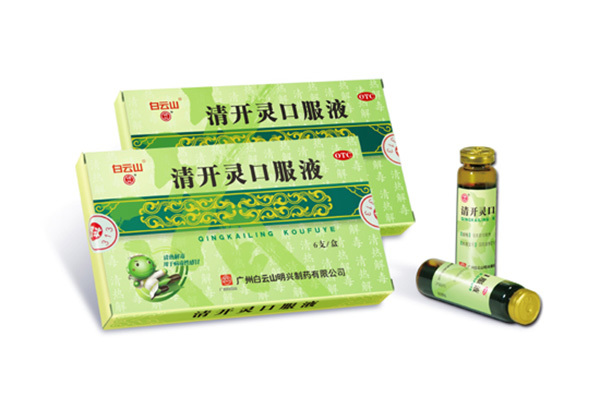 For the exogenous wind-heat, fire poisoning caused by heat, sore throat, tongue red, yellow coating, pulse number; upper respiratory tract infection, viral influenza, acute pharyngitis, acute bronchitis and other diseases are the above syndromes By. 【Dosage】 oral. A 20 to 30 ml, 2 times a day; children reduce it. 【Note】 avoid smoking, alcohol and spicy, cold, greasy food. See instructions. 【Packing】 brown control oral liquid bottle. Each pack 10 ml, 6 per box.